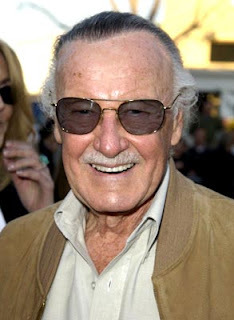 Comics Impulse v2: Stan Lee, Disney Collab On "Time"
Stan Lee, Disney Collab On "Time"
LOS ANGELES (Hollywood Reporter) - Stan Lee, the former Marvel Comics mastermind, and the Walt Disney Company are looking to a time machine to take them to the future of comic books. Together they're launching "Time Jumper," a franchise featuring a cell phone that makes it possible to go back in history, as a digital comic book that will play out on multiple platforms. Lee's POW! Entertainment will also see an extension to the first-look deal it signed with Disney in June 2007, covering all media. "I am honored to be in association with Disney, not only through the extension of our original deal, but also in breaking ground by creating a new superhero," said Lee, who on Friday will tout "Jumper" at Comic-Con, the annual comics-related event in San Diego. The franchise will be brought to life through collaboration by several Disney divisions, including home entertainment, online and publishing. "Jumper" is the latest high-profile example of the trend in digital comics, which activate the traditionally static panel-based art with moving graphics. Warner Bros. recently released "Mad Love," an online companion to the film "The Dark Knight"; in August, MTV Networks will unveil "Invincible," an adaptation of the Image Comics title.